The use of drones started as a way to catch epic action shots. Today, the same drones are being used to revolutionize the building industry, but are they more risk than reward? With last year’s passing of new recreational drones flight laws, the Federal Aviation Administration (FAA) is turning its focus to regulating commercial drone usage. In the coming months, once regulations are passed, there should be more information on how you can use drones on your jobsite. On the jobsite, these remote-controlled drones are able to maximize efficiency and productivity. Users are able to spot safety issues, inspect rooftops, see the jobsite as a whole, and more, all from their phone or tablet. While this does cut down on time spent surveying, it still comes with its own set of risks. For example, should the operator lose control of the drone or fly it out of range, the drone could drift off or drop completely, hitting anything under it at the time. In addition, these can be flown into power lines, aircrafts, people, or buildings if not careful. Also, most commercial drones are not equipped with the security systems needed to prevent cyber-hacks. 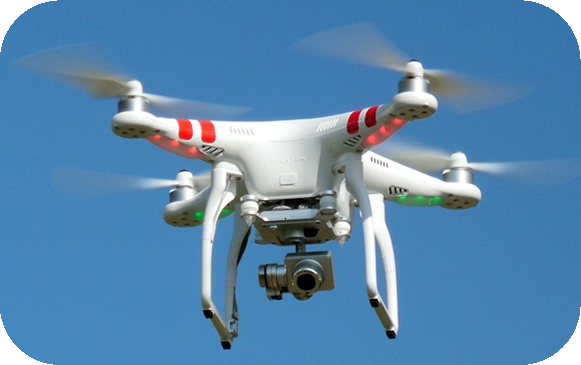 Anything that happens during your drone’s flight is your responsibility. While drone usage is an exciting option for the construction industry that is bound to increase overall productivity, it’s important to keep the inherent risks in mind. For more information, visit www.faa.gov.